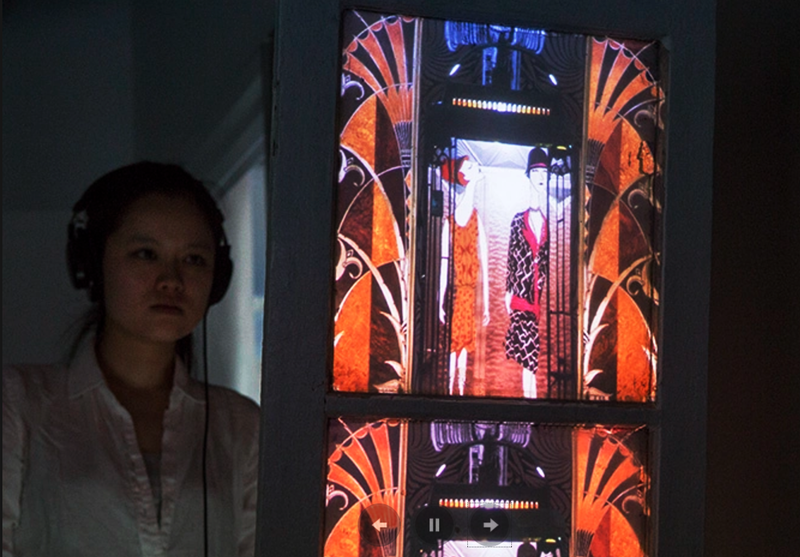 THREE STORIES TALL retells the history of the elevator and its effect on society through an interactive animated installation. Acting as a simulated elevator, the viewer presses an "elevator button" to see an animated story open on the next floor. As a prototype, animations were created to show the first elevator in Louis XVI's Versailles and the social classification of elevators in skyscrapers of the 1920s.